COPPER HARBOR — Nestled into the far north Michigan woods, near the tip of the Keweenaw Peninsula, between shimmering Lake Fanny Hooe and Copper Harbor on Lake Superior, is beautiful Fort Wilkins Historic State Park. Whether camping, hiking, biking, stargazing, fishing, paddling or delving into the fascinating history of this captivating region, visitors to the park have a world of wonderful opportunities awaiting them. Abandoned in 1870, the military complex that was Fort Wilkins in Keweenaw County had an interesting history on its way to becoming a Michigan state park. In 1988, Robert Wathen of the state Bureau of History, tracked the steps in a paper he produced on the origins of the park and development of the region’s tourist industry. The fort was constructed in 1844. “The physical transformation that Fort Wilkins underwent from 1870 to 1942, reflects an important modification of attitudes respecting the intrinsic worth and practical function the site could serve,” Wathen wrote. By the early 1900s, the fort abandoned by the military was in decay. “Although for over 40 years, the fort grounds were frequented by local picnickers and campers, vandalism and unchecked destruction of fort buildings continued unabated,” Wathen wrote. 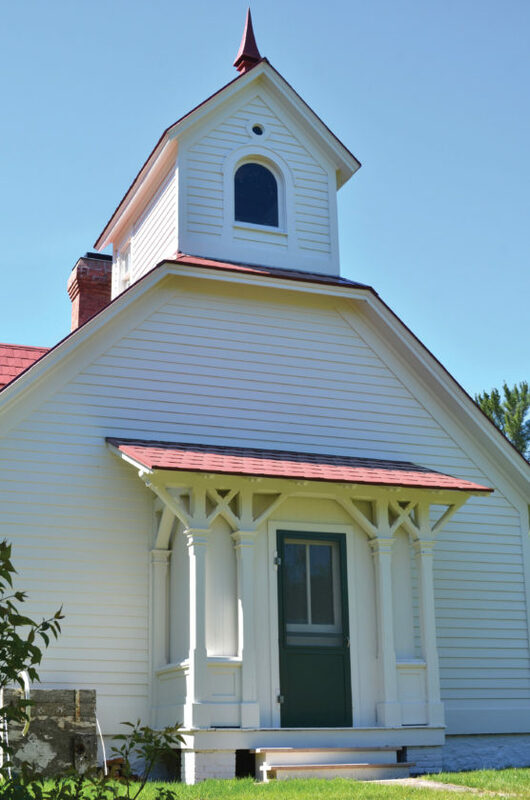 “By the mid-1910s, however, the Keweenaw Historical Society and the Upper Peninsula Development Bureau actively supported purchasing and preserving the complex. During the 1920s, some limited improvements were made at the site, but virtually stopped in the wake of the Great Depression. 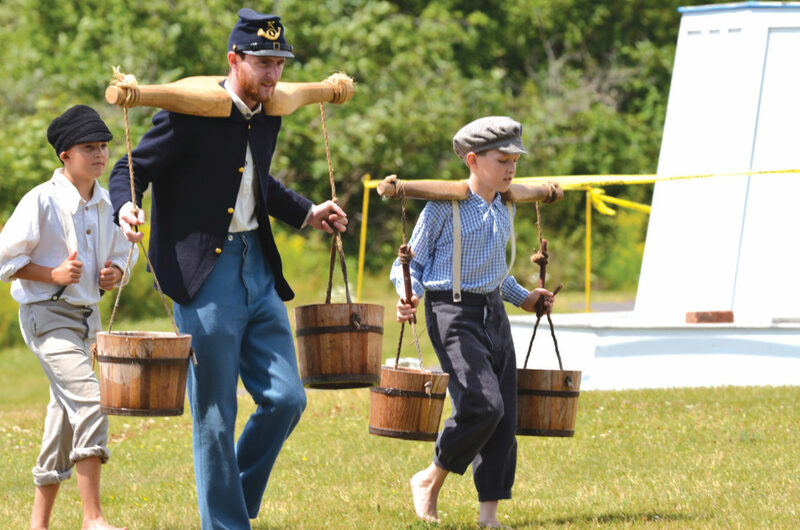 Today, the buildings at the fort are beautifully maintained and each summer costumed re-enactors help tell the story of the fort’s former inhabitants. The complex also includes one of the first lighthouses on Lake Superior — one of two range lights that protected ships navigating the waters of Copper Harbor. There are two campgrounds at the state park, an east and a west, along with a group camping area, a mini-cabin and a lodge on Lake Fanny Hooe. The park also has picnic shelters, a fishing deck and a concession store. 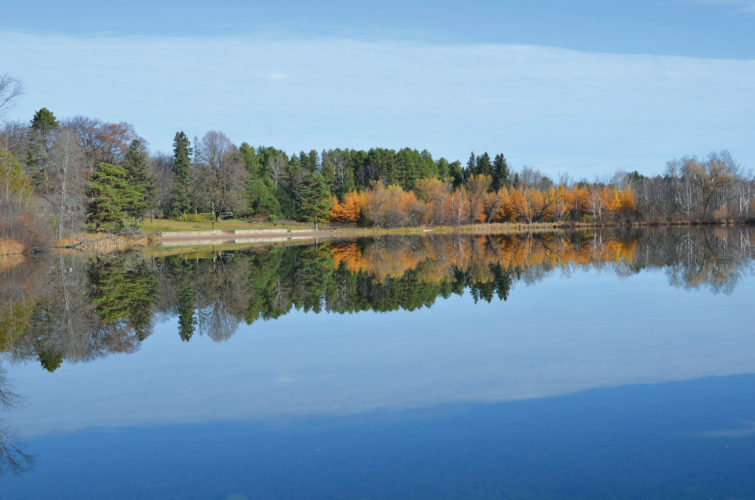 Anglers can fish for a range of species at Lake Fanny Hooe, including splake, lake and brook trout to yellow perch, pumpkinseeds and rock, largemouth and smallmouth bass. In addition, the Copper Harbor State Harbor on Lake Superior is located not far from the park. The Estivant Pines, a stand of virgin white pines, and The Delaware Mine, an old copper mine with guided tours, are located near the park. 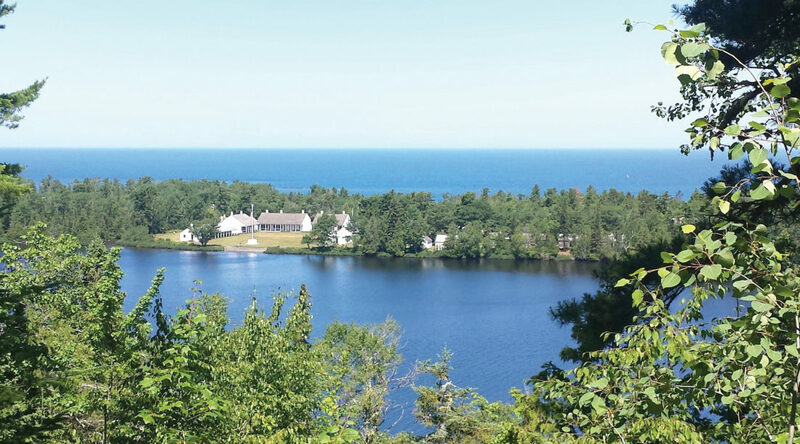 Brockway Mountain Drive offers spectacular scenic views of Lake Superior, inland lakes and panoramic views of the Keewenaw Peninsula. 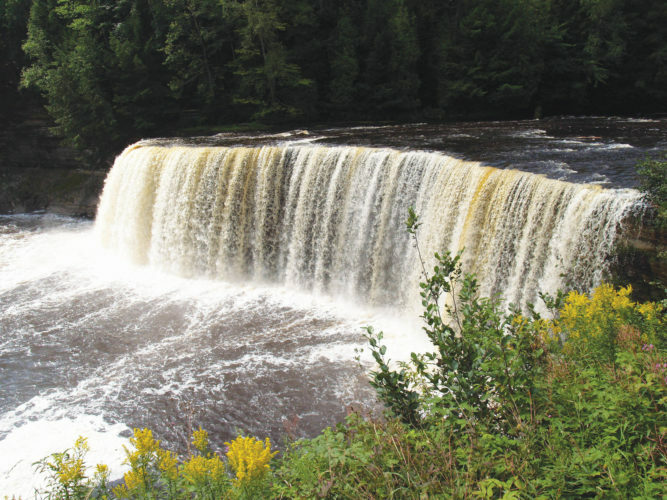 Waterfalls, day trips to Isle Royale, shipwrecks, boat tours, museums, shops and restaurants are all nearby. For mountain bikers, there are challenging and acclaimed trails on Brockway Mountain and a scenic trail to the tip of the Keweenaw Peninsula. Brockway Mountain is also a place attracting birdwatchers, especially during spring migration, when thousands of hawks and other species move north on southerly winds. Far from any substantial city lights, the night skies in this part of the region are amazing. 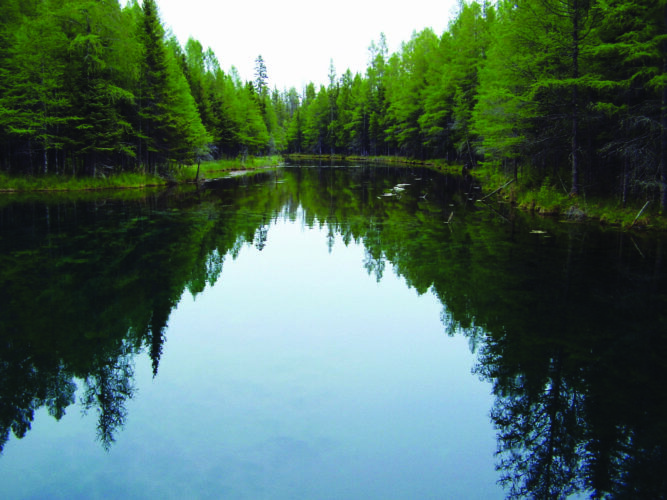 Signs of the region’s rich copper mining history are visible in almost any direction, including at the state park and the Keweenaw National Historic Park. 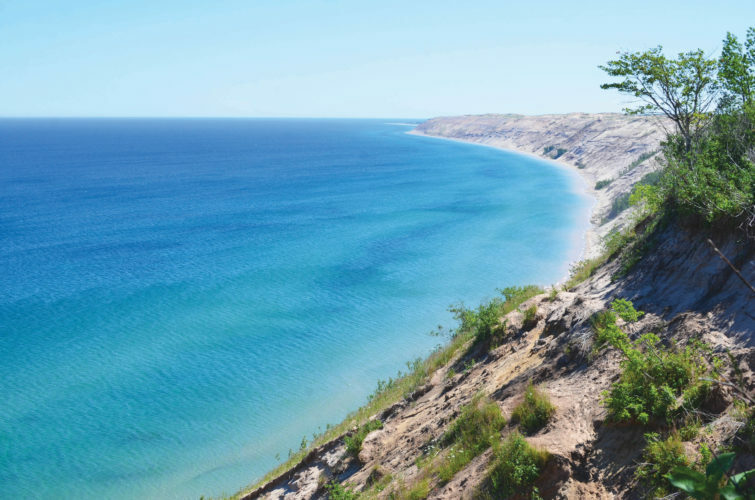 The area is also home to quiet beaches for calm reflection, swimming, scenic byways for walking and biking, great landscapes for photography, more trails to enjoy, places to picnic and to just soak in the fresh air. The terminus of U.S. 41 is located nearby. From there, the highway snakes south all the way to Florida. A highway sign in Copper Harbor reflects the mileage. 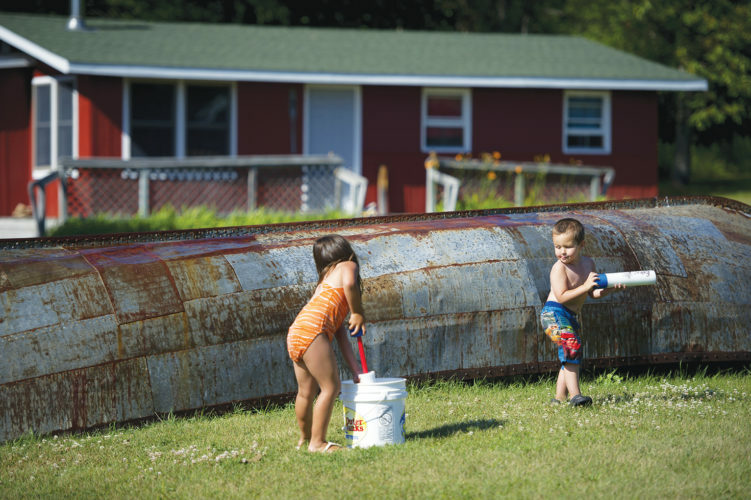 From the opportunity to take a glimpse into the lives of the people living in and around Fort Wilkins in the mid-1800s, to the fantastic recreation, campgrounds, scenery, history and general remote peacefulness of the area, Fort Wilkins Historic State Park is a place everyone should experience at least once. Keweenaw County is a special place, with a unique feeling all its own. 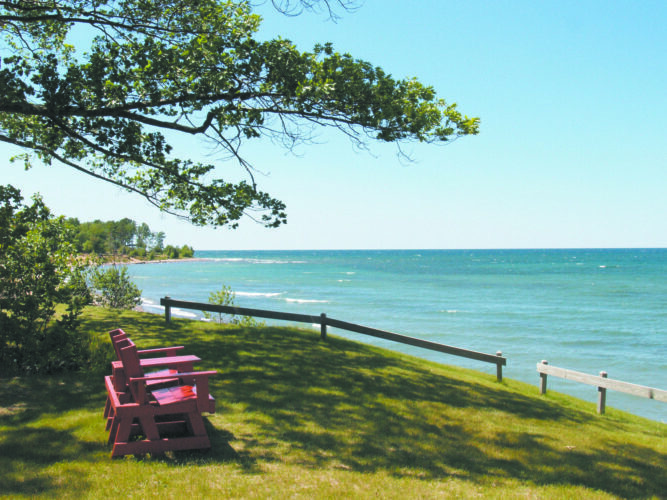 The windswept, rugged shore along Lake Superior and the winding highways and county roads through the woodlands and up and over Brockway Mountain, take visitors to experiences they aren’t likely to forget. For most people who do visit, a return trip is almost guaranteed.